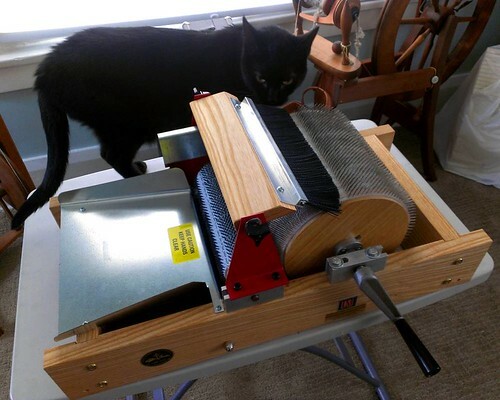 Are there OSHA laws protecting cats from violent machinery? Not sure… When she was sitting next to me, she would reach out her little paw as the drum would go around. But she is also scared away by the sound of the brush going across the top of the drum. She gets big eyes and runs wildly around the house. Seeing the photo, my first thought was that you’d officially hired Olive as your creative director.